“I have Postnatal Depression”…words I never expected to hear myself say. But 2 1/2 years after my baby was born that is my daily reality. 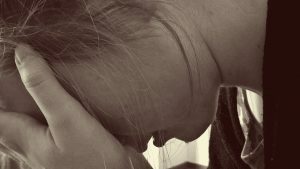 I never knew what Postnatal Depression (PND) really was/is, and I certainly never expected to be ‘that mum’. PND as an illness is like a dark, deep, black hole. It often feels like it comes with a stigma – who is to blame and should I feel shame? The answer is simple, no one is to blame and there should be no shame. No mum asks for PND and, as yet, there is no way to stop it occurring. Because of the stigma that can surround it, we often don’t talk much about it. For mums who struggle, it’s a lot to do with fear – what will people think about me, what will it say about me as a women and as a mum? For others, who don’t suffer, it might be because they are afraid to ask the wrong question or say the wrong thing. Either way, there has been too much silence around it, for far too long. When I was diagnosed, 6 months ago, I decided to play my part in helping to change that. I now run a blog called ‘Have you seen that girl…?’ which shares tales of life, motherhood and recovering from postnatal depression. 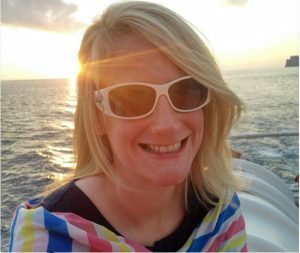 During my two year journey to be diagnosed – yes it did take that long – I became very ill. Like many mums, who suffer, I found it hard to be heard by health professionals. When I did try, I was dismissed and in many ways told ‘to get on with it’. This sent me into a deep spiral of becoming mentally, emotionally and physically unwell, to the point I was ready to give up on life altogether. I begged to be ‘locked in a room’ and the key thrown away. My heart was broken into many pieces – this was not how I assumed motherhood would be. I was so ashamed of myself for feeling how I did and failing at my most defining role in life. I was exhausted trying to pretend to be ‘normal’, all the while dying inside, wanting to fall into the dark hole that beckoned me daily. I believed that I had ‘missed the mum’ gene, was internally flawed, and bound to feel this way forever. It turns out that was simply not true. When my son turned 2, I spoke my true feelings, again, to a different Health Professional. He listened. He got it. 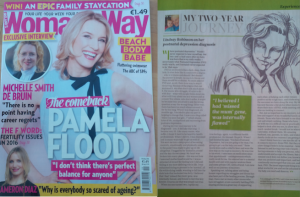 When I had finished he said “you have Postnatal Depression, but you are going to be ok, I’m going to get you the help you need.” Those words were such a relief to hear and were the first step on the road to recovery. He was true to his word. I have been on medication since that appointment – antidepressants which really work for me. He referred me to a mental health unit and with regular sessions there and some private CBT, with a friend, I am now well on my journey of recovery. Speaking out, talking about and being honest regarding my struggles and illness has also been part of the healing process. Through that, I have met so many other mums who have struggled, or are currently battling PND. Sharing stories is a great way of supporting each other, of helping each other remain positive on the tough days, and celebrating the successes we have along the way. My blog has now become a forum for other mums to share their story of PND , while meeting others who are looking to connect. But, just as important to my recovery, is the love and support of my wonderful family and friends. Those who have listened to me share and said simply nothing. Those who have sat with me on a difficult day or practically helped to look after my son, to allow me a much-needed break. I would not be where I am today, without them. My amazing husband, son, parents, in-laws, and wider family circle are key reasons I am getting well. I don’t think there is a ‘one size fits all’ when it comes to recovery from PND. But they are a few things I believe to be essential – being listened to and having your voice heard; having someone to help you process, who understands and accepts the illness, but can remind you it does not define you; knowing that you are loved and important; and being continually encouraged that you can, and will beat, PND. The most important thing is to find what works for you and not be ashamed to get the help you need and deserve. 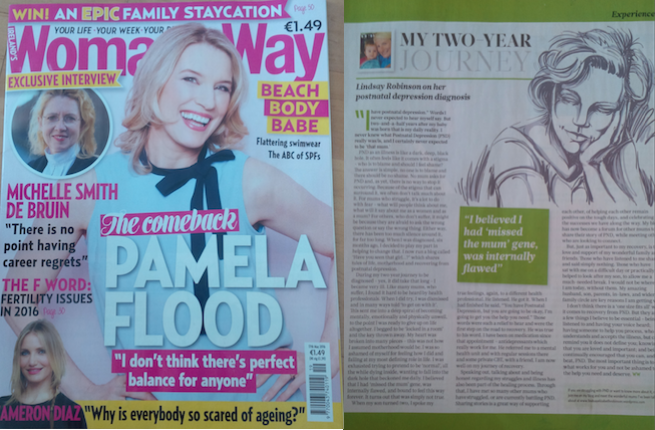 Thanks to Woman’s Way, May edition, for publishing my story and for helping to raise awareness of PND. You can follow them on Twitter or Facebook too!